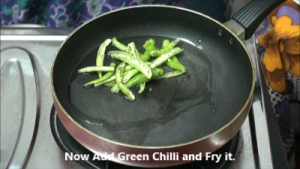 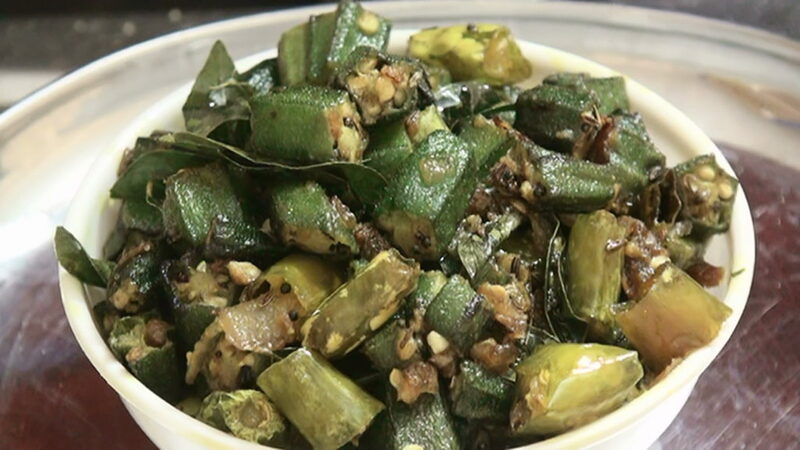 Now Add Green Chilli and Fry it. 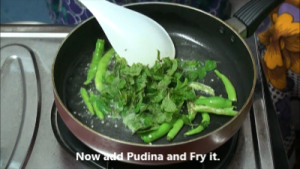 Now add Pudina and Fry it. 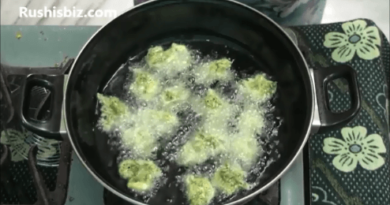 Fry them properly so that they don’t become bitter. 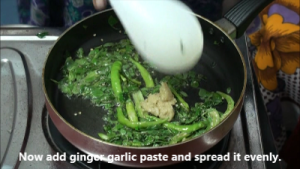 Now add ginger garlic paste and spread it evenly. 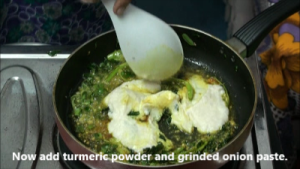 Now add turmeric powder and grinded onion paste. Now add the chicken and mix it. 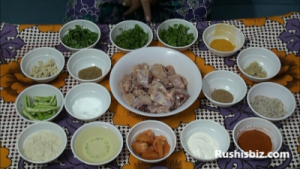 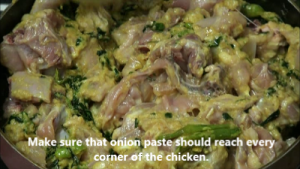 Make sure that onion paste should reach every corner of the chicken. 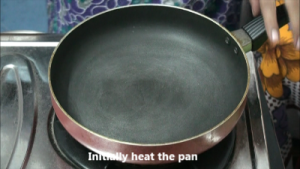 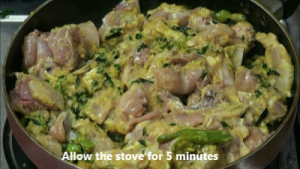 Allow the stove for 5 minutes. 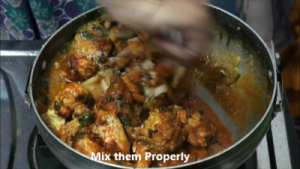 After completion of 5 minutes add tomato, mix it. 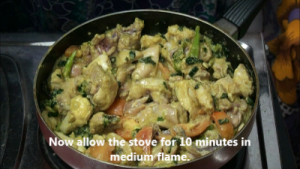 Now allow the stove for 10 minutes in medium flame. 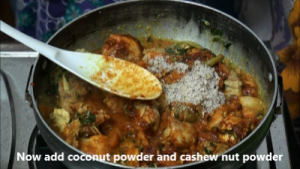 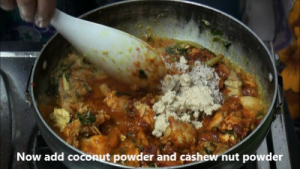 Now add coconut powder and cashew nut powder. 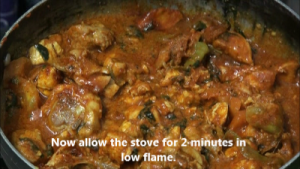 Now allow the stove for 2 minutes in low flame. 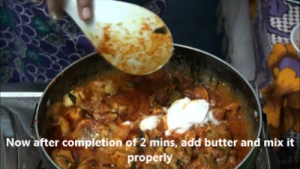 Now after completion of 2 mins, add butter and mix it properly. 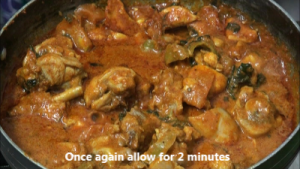 Once again allow for 2 minutes. 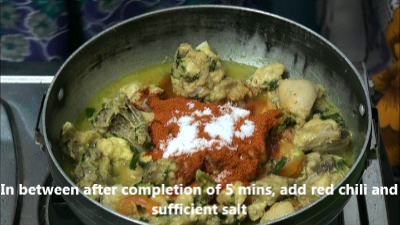 After Completion of 2 mins, add some water for gravy. 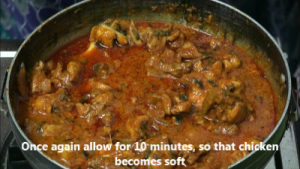 Once again allow for 10 minutes, so that chicken becomes soft. 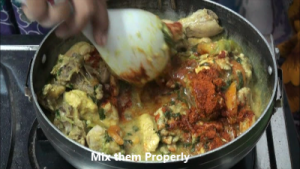 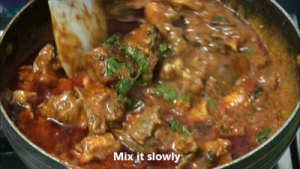 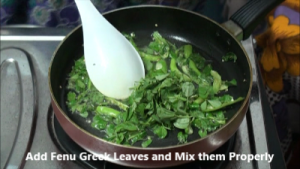 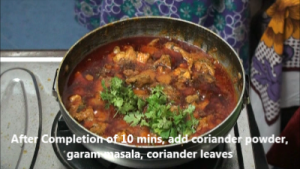 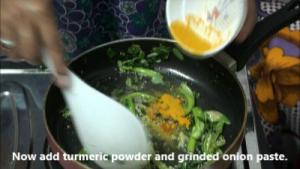 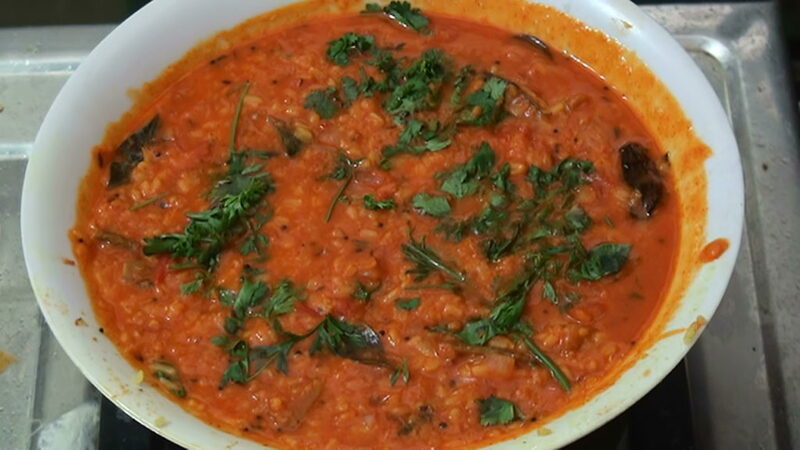 After Completion of 10 mins, add coriander powder, garam masala, coriander leaves. 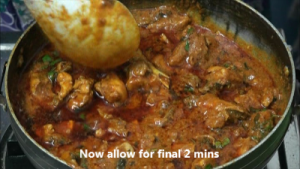 Now allow for final 2 mins. 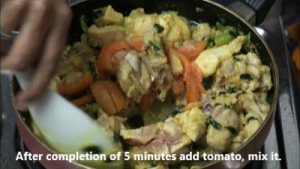 So after completion of 2 mins we are done with curry. 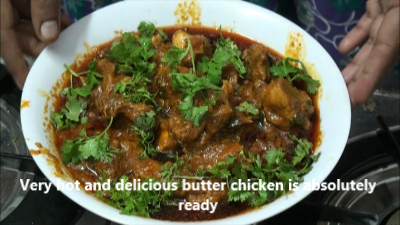 Very hot and delicious butter chicken is absolutely ready.